Consumer Crafts Haul Video & Sweet Cyber Monday Sale! Have you heard of Consumer Crafts? If you haven’t, you’ve GOT to check them out! It’s a fabulous, one-stop-shop for all of your creative & crafty needs. There’s a great selection, great prices, and the best part is you don’t even have to leave your house to shop (dangerous ;))! I recently received $50 to Consumer Crafts and was given the fun task of seeing what all I could get with the money. It was SO hard deciding because their selection is so great! 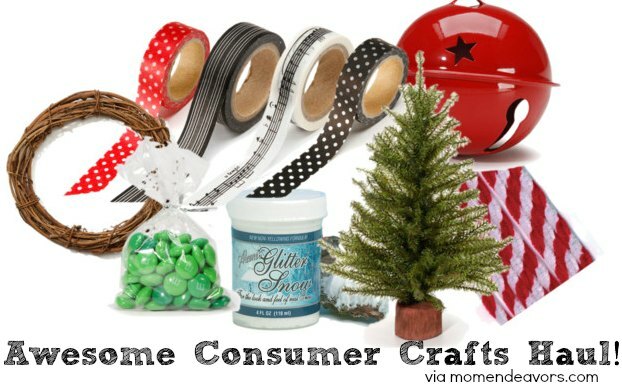 I ended up with a great mix of some crafting “necessities” and fun stuff for holiday crafting! Lots of great stuff for just under $50, huh?! I’m impressed with how far my $50 went. And, am super excited to order again. 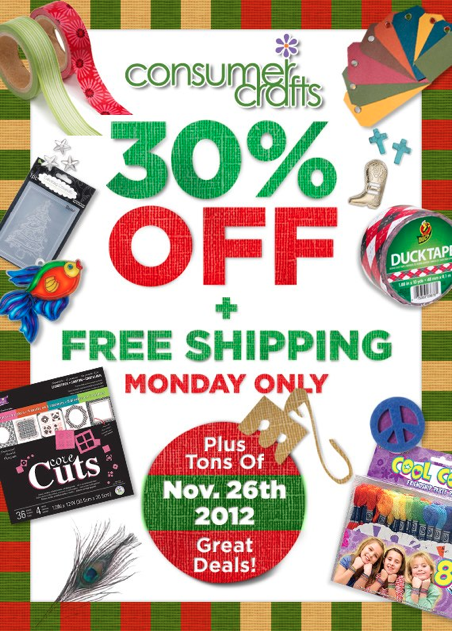 Lucky for me (and YOU), Consumer Crafts will be having an awesome Cyber Monday sale! 30% off the entire site PLUS free shipping for Cyber Monday!!! Woot!! This deal is good for Monday, November 26th only, so be sure to hurry over and shop! I’ve got more washi tape, some paper mache letters, and clear glass ornaments for making Baby Brother’s handprint ornament already in my cart ready to go!! Disclosure: I wrote this post as part of a paid campaign with Consumer Crafts and Blueprint Social. As always, the opinions & experiences in this post are entirely my own. Beautifully done! I’m definitely heading over to Consumer Crafts!